1 Mile fun run is free at 9am. Registration is not necessary. Online registration: $20 (closes 5pm on Monday, July 2nd). In Person Registration ($20) and packet/t-shirt pick-up on site at the pavilion in Beulah, July 3rd from 5-7pm. Registration and packet pickup morning of the race will be from 6:45-7:45am ($25). Course begins in Beulah, travels outside of town with a few hills, along a dirt two track and a short run downhill through a forest. Course finishes along the gravel Betsie Valley Trail back in town in Beulah near the shores of Crystal Lake. T-shirts will be guranteed to first 450 participants. AWARDS: 5K - Custom prints awarded to 1st and 2nd place overall winners in the men's and women's divisions and 1st place overall in the men's and women's master's divisions and grand master's divisions. Custom glasses awarded to the 1st finishers in each age group and trophies to the 1st place finishers in 18 and under. Medals awarded to 2nd and 3rd place finishers in each age group. You or your representative must be present to claim your medal. 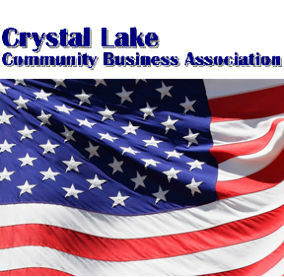 If your medal is NOT claimed on July 4th, you may pick it up at the Benzie County Chamber of Commerce office July 5th thru 10th between 9am and 5pm. CLCBA regrets it can no longer mail medals or T-shirts. Walk/run participants will receive a ribbon for finishing the race. Family category (free with entry). Must have three or more direct family members. Times of three family members will be combined and Family Prize will be awarded for "Fastest" family.